What Curriculum Should I Buy for Kindergarten? 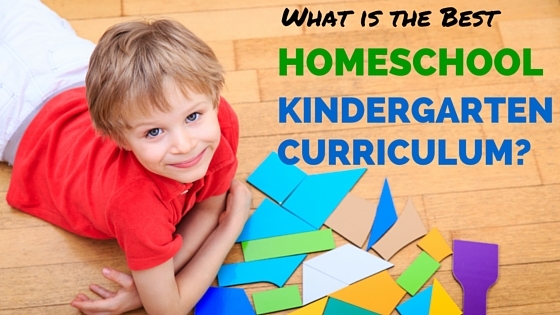 New homeschooling parents always want to know: what is the best kindergarten curriculum? It’s a logical question, we want to do the best job we can when homeschooling our children. The answer is: there are a lot of good, packaged curricula out there. But, the real question is, do you actually need to buy an expensive curriculum to do Kindergarten? 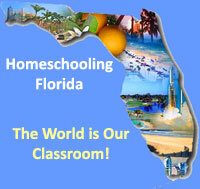 One thing that many parents think when they first start homeschooling is that they need to replicate “school” at home. Many parents think that they need to make their child feel like they are in a classroom, with desks, a board, and even educational posters on the wall. However, creating a “school” type setting doesn’t make learning happen. Learning happens when a child’s natural curiosity and intellect is nurtured and challenged. That can happen anywhere: on the porch, at the dining room table, in the backyard, at the library, even on the living room floor! Part of the “school at home” mindset is the idea some parents have that they have to buy a whole grade level worth of books. But, having a full set of text books doesn’t make learning happen, either. If you have never homeschooled before, the first year of homeschooling is all about figuring out what works, and what doesn’t work, for your child. It is common for parents to select a curriculum to start with, and realize a few months in that they need to drop it and go a different route. If you read our previous article in this series, Homeschooling Kindergarten: How To, then you know that we recommend a simple approach during the early elementary years, with a focus on instilling a love of learning as the cornerstone of your homeschool. We have 5 children and never bought any packaged curriculum. That’s not to bad-mouth curriculum publishers. We don’t think that there is anything wrong with buying a packaged curriculum. Some parents have bought a grade-level worth of curriculum for their children and had success with it, though often times that is not the case. Realistically, what is your child’s attention span? Does your lifestyle match the demands a certain curriculum will put on your time? Are you financially able to switch gears mid-year if your first curriculum choice doesn’t work? Have you decided which subjects you consider to be top priority, and which are of secondary priority? Since most first-time homeschool parents don’t know the answers to those questions right off the bat, they sometimes make an investment in an expensive packaged curriculum, and figure out halfway through that it is not working for them. They sometimes get discouraged and give up on homeschooling altogether. What they don’t know is that the first year homeschooling is all about learning how your child learns, what fits your lifestyle, and what types of curriculum interests and engages your child the most. So, before you make a curriculum investment, especially in kindergarten, we suggest keeping it simple at first. The foundations of learning are language and math. A successful kindergarten program incorporates different learning approaches to teach children math and written communication. That is what we did with all 5 of our children. We focused on reading, writing, and math until they were about 8, or until 3rd grade level. We used manipulatives, real life situations, worksheets, workbooks, journals, and simple readers. Combined with fun, engaging field trips, books, and activities, these are the building blocks for a solid education. Below you will find our recommendations for Kindergarten. We kept it simple, as you can see. But, our approach has been successful, inexpensive, and easy to replicate. Bob Books is a wonderful, simple, excellent reading curriculum. We used it with all of our children. It is phonics-based and easy to use. Best of all, it is extremely economical. Bob Books are sets of short little books with stick figure drawings. They teach all the things your child needs to know, in a systematic way. The best part is that the books are short, and very gratifying. Before long, your child is reading a whole book! Finishing a book gives children a feeling of success that keeps them going. Bob Books are also great because they can take you through to 2nd grade reading. They are also available on Kindle. Lots of libraries have them, too. We have found that Costco, Sam’s Club, and BJ’s have great deals on Bob Books as well. DO NOT teach them capital letters at first. Teach them the lower case alphabet, and try to stay away from any educational toys or materials that have capital letters on them. Invest in a ream of three-lined Zaner-Bloser paper and teach your child how to form their letters correctly using the lines on the paper. One package of 500 sheets should last through 3rd grade. Don’t worry about spelling at first. Just focus on letter shapes and sounds, and forming short words. You can use the words in the Bob Books as beginning spelling practice. The reason why you want to stay away from capital letters in the beginning is that there are only two instances when we use capital letters: at the beginning of sentences and in names. As you teach your child to sound out letters and put together sounds to make words, they don’t need to know about capital letters. They are not writing sentences yet. Once they are ready to form sentences, then you can teach them capitals. Once our children learned how to form their letters and to read, we bought them three-lined composition books for use as a journal. We had them write in their journals every day. We did not worry about spelling. They could write whatever they wanted. We used this opportunity to teach them how to write the date, the day of the week, and then a few lines about their day, what they had for breakfast, what they were looking forward to doing. We would sit with them and write in our journals while they wrote in theirs. A few minutes a day is all it takes. We created our own blank calendar pages and photocopied them. We had five rows of 7 squares each, with space a the top for the days of the week. We also had space at the top for a picture or a drawing. At the beginning of each month, we would hand out a new calendar page and they had to figure out how to number all the days correctly for the month. Then, they would use their calendars when writing in their journals to figure out the date. Calendars are a great way to incorporate numbers, words, counting, simple charts, graphs, and social studies into their day. Another tool in learning and practicing writing is giving them copywork. A short bible verse, or famous quote, copied onto three-lined paper is good writing practice. We also had them copy Bob Books. There are lots of good copywork worksheets on the internet for free. Writing can seem like a big task for children, but with copywork, they can be instantly successful. And, if they copy a Bob Book, they can eventually read what they wrote! We have used School Zone workbooks exclusively for all of our children. We like School Zone because they don’t use capitals for Kindergarten and the pictures are colorful and interesting. Also, there is a good amount of work on each page. We are picky about workbooks: nothing bothers us more than workbooks that are a bunch of wasted space with big pictures and very little work! If you want to get a good Kindergarten workbook that encompasses all subjects, we suggest the School Zone Kindergarten Scholar (64 pages) or Super Scholar (128 pages). One of those is enough for Kindergarten, and they are less than $10. Teaching math starts out with counting, learning numbers, and how to draw the numbers. Then, we move on to using manipulatives to teach basic addition. We used a number line, and lots of hands on activities. One of my favorite tools for early math is a measuring tape. It not only makes a great number line, but it also helps give children a head start in learning linear measurements, both standard and metric. A Scope and Sequence will give you the math concepts that your child should learn, in order. You can choose to teach your child the concepts however you see fit. 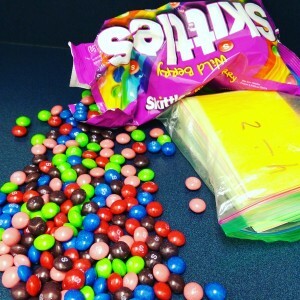 We recommend a combination of hands-on manipulatives, visual numbers, and auditory exercises. In many ways, math is a language. It can be used as a means of communication. So, just as with reading and writing, we try to teach it in many different ways in order for our children to fully understand math. We have always tried to teach our children by using all 5 of their senses. Our philosophy is that 5 senses gives us 5 different ways to get math into our children’s brains. Some children learn better with one particular sense, however, using as many senses as possible is the best way to learn. By the five senses we mean: hearing, touching, seeing, taste, and smell. Manipulatives are something we used a lot in the early years. We actually purchased bins of plastic colored counting chips and used those for counting, addition, subtraction, grouping, sorting, and patterns. You can use almost anything, though, from rocks to Lego’s. Once our children could recognize numbers and count them, we started using workbooks. 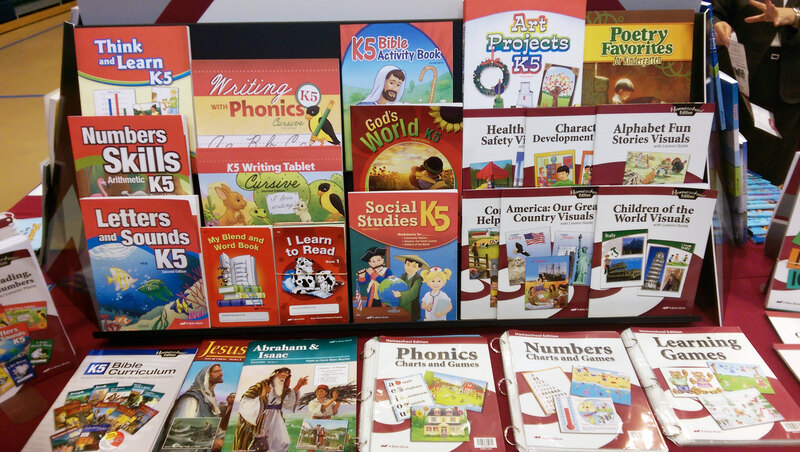 Our favorite math workbooks, in addition to the School Zone math workbooks, are the DK Math Made Easy workbooks. All of these are also less than $10 each. We also used a lot of FREE printable worksheets from the internet, mostly from the free website www.Math-Drills.com. Another math curriculum that we used with our youngest child is Life of Fred. Life of Fred is a different sort of curriculum, set up as a series of story books about a 6-year old mathematician named Fred. The stories cover his daily life and how he encounters math in everyday situations. Our son loved reading Life of Fred, and it was a nice complement to the other math activities we were doing with him. At first we had to read the books to him, because he was not reading on his own, but if your child already knows how to read, then the books are easy enough where they can read them on their own. The Life of Fred series goes all the way from Kindergarten to Calculus. We did not ever purchase any science or social studies curriculum. We focused instead on reading picture books about science, history, and famous people in history. We took field trips to local museums, and spent lots of time outdoors, which is the best way to introduce children to science. The outdoors naturally awakens their curiosity about the world around them. It also prompts research into finding answers to questions that they have about nature or the natural world. In the early years, this is the best way to teach science and social studies, while also teaching children the habit of becoming curious and inquisitive. The more they want to learn things, the easier your job as a homeschooling parent will be. If you follow this approach, then ultimately all you will have to do is feed your children a steady diet of books and materials to satisfy their curiosity. We highly suggest taking full advantage of your local library for science and social studies. For the early readers we recommend DK Readers,which have a variety of non-fiction topics with excellent visuals that really engage children (and adults!). DK Readers are leveled, which means that your child can start with Level 1 and work their way up to Level 4. Lots of libraries have these, along with some other readers such as Step into Reading, and the classic I Can Read books. Complement all of your kindergarten subjects with real-life activities. One of our favorite real-life activities that helps us incorporate all of the senses in learning is cooking in the kitchen. Cooking helps children learn math by measuring and calculating ingredients, as well as science by combining ingredients into recipes. The nice part about cooking is that the chidren can smell and taste the results of their education! Other hands-on, real-life activities that our children loved included building activtities, going shopping at the supermarket, and going to the bank. That is the beauty of homeschooling, it enables us to teach and learn all throughout our day. As mentioned in the previous article, kindergarten is a time for transitioning to structured learning, but also incorporating play. Children need playtime in order to learn- which means that they need recess! They need time to play quietly by themselves inside, as well as outside. Kindergarten is the beautiful balance between formal and informal education, a balance between sit-down lessons, hands-on activities, and playtime, which will ultimately set the stage for a lifetime of learning. Use it to your advantage! The truth is, there is no such thing as the “best kindergarten curriculum.” The main idea behind this article is that you don’t need to invest a lot of money to begin homeschooling, especially in the early elementary years. Starting out with basic curriculum will help you see what works for your child and family, without making a huge investment! If you implement any of these suggestions, you might end up deciding that they are a little too “free-form” for you, and that you would like more structure. On the other hand, this approach might be exactly what you had envisioned homeschooling to be like. We don’t claim to be experts, but given our lifestyle and educational experience, we have found that this approach worked for us. If this article was helpful for you, please share it! If you have any questions about Kindergarten homeschool curricula, or about Kindergarten in general, please ask in the comments section. Although these recommendations are what our family has used, we are very familiar with a lot of different homeschool curricula. We will be happy to answer any questions and share our ideas or insights with you. Great article, I really appreciate it. 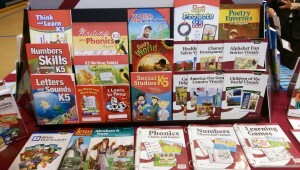 I was thinking about buying a complete curriculum but did not find good prices anywhere. I will follow your advise. Any suggestions for an advanced reader going to first grade? Thanks!